Since forming in 2010 they have released a small arsenal of hits such as ‘Feeling’, ‘Salvation’, ‘Abandoned’ and ‘Alive’. And also had the opportunity to write the Defqon Australia 2015 Anthem together with Frontliner and Aussie Hip-Hop legend 360, the track titled ‘No Guts, No Glory!’ was released on Q-Dance Records. These boys have forged a reputation for having as much fun as their fans during their live sets. Dillytek live shows are becoming recognized as some of the most energetic of all. Having played at Defqon.1 Australia over a number of years, also including a handful of main stage gigs in 2013, 2014 & 2015 where they got to share the limelight with Brennan Heart, Coone and Noisecontrollers to name a few. 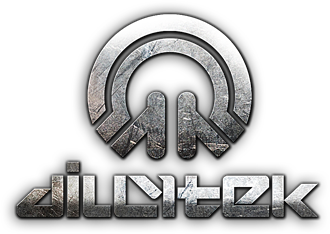 Indicative of their broadening appeal internationally, Dillytek were invited to play and represent Australia at Defqon.1 in The Netherlands in 2013, and again in 2014, as well as Frontliner X-Qlusive 2015.